How does the limited IRS operations due to budget affect you? • You should continue to file and pay taxes as normal. Individuals who filed a personal tax return extension should file their returns by Oct. 15, 2013. • All other tax deadlines including the payroll tax deadlines remain in effect, including those covering individuals and businesses. • You can electronically or paper file your tax return. However, paper filing will be delayed until they resume operations. Enclosed payments with paper tax returns will still be accepted by the IRS. • Tax refunds will NOT be issued until government operations resume. • Only automated toll-free telephone applications will remain operational. • Taxpayer can obtain a tax transcript via mail during the shutdown by using the automated tools at irs.gov. • Taxpayers with audits, collection, Appeals or Taxpayer Advocate cases should assume their meetings are cancelled. 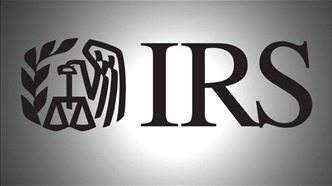 IRS assigned to the case will reschedule those meetings after normal operations resume.